^ K. A. Martin (19 October 2014). "State to switch fully to organic farming by 2016: Mohanan". The Hindu. Retrieved 30 May 2015. ^ "CM: Will Get Total Organic Farming State Tag by 2016". The New Indian Express. Retrieved 30 May 2015. 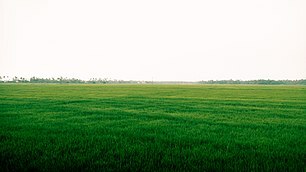 ^ "Kerala: Natural Resources". Government of India. Archived from the original on 18 December 2011. Retrieved 18 November 2012. 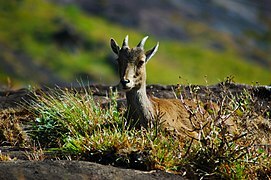 ^ "Kerala: April 2012" (PDF). Indian Brand Equity Fund. Retrieved 18 November 2012. ^ India. Planning Commission (1961). Third five year plan. Manager of Publications. p. 359. Retrieved 18 November 2012. ^ Government of India Planning Commission (1 January 2008). Kerala Development Report. Academic Foundation. p. 51. ISBN 978-81-7188-594-7. Retrieved 18 November 2012. ^ Planning Commission, India (2007). Kerala Development Report. Academic Foundation. p. 51. ISBN 978-81-7188-594-7. Retrieved 30 May 2015. ^ a b R. Quentin Grafton; Ray Hilborn; Dale Squires (2009). Handbook of Marine Fisheries Conservation and Management. Oxford University Press. pp. 10–12. ISBN 978-0-19-537028-7. ^ Leela Gulati (1984). Fisherwomen on the Kerala Coast: Demographic and Socio-Economic Impact of a Fisheries Development Project. International Labour Organization. p. 103. ISBN 978-92-2-103626-5. Retrieved 18 November 2012. ^ Journal of Kerala Studies. 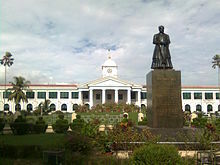 University of Kerala. 1987. p. 201. Retrieved 18 November 2012. ^ Nair RR, Rajan B, Akiba S, Jayalekshmi P, Nair MK, Gangadharan P, Koga T, Morishima H, Nakamura S, Sugahara T (January 2009). "Background radiation and cancer incidence in Kerala, India-Karanagappally cohort study". Health Physics. PMID 19066487. ^ "About Us". Kerala Public Works Department. Government of India. Retrieved 18 November 2015. ^ a b "National Highways in Kerala". Kerala Public Works Department. Government of Kerala. ^ "Coastal, Hill Highways to become a reality". The Hindu. 12 July 2017. Retrieved 12 February 2019. 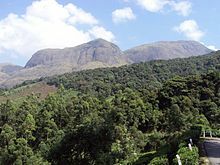 ^ "District of Palakkad – the granary of Kerala, Silent Valley National Park, Nelliyampathy". keralatourism.org. Retrieved 30 May 2015. ^ "About us". Kerala Public Works Department. Government of Kerala. Retrieved 18 November 2012. ^ Kumar VS (20 January 2006). "Kerala State transport project second phase to be launched next month". The Hindu. Archived from the original on 4 March 2007. Retrieved 11 November 2007. ^ Kumar VS (2003). "Institutional Strengthening Action Plan (ISAP)". Kerala Public Works Department. Government of Kerala. Archived from the original on 12 May 2008. Retrieved 11 November 2007. ^ Kumar KG (22 September 2003). "Accidentally notorious". The Hindu. Retrieved 11 November 2007. ^ "Kerala parties finally toe NHAI line of 45-m wide highways". Indian Express. 18 August 2010. Retrieved 25 September 2013. ^ "Check out India's 13 super expressways". Rediff.com. 5 July 2011. Retrieved 25 September 2013. ^ Special Correspondent (28 March 2013). "Kerala against development of five NHs". The Hindu. Retrieved 25 September 2013. ^ Reporter, Staff (30 June 2013). "State's troubled highways a shocking revelation for Centre". The Hindu. Retrieved 25 September 2013. ^ "Introduction" (PDF). Delhi Metro Rail Corporation. Archived from the original (PDF) on 6 September 2012. Retrieved 18 November 2012. ^ "The Zonal Dream Of Railway Kerala". yentha.com. Retrieved 18 November 2012. ^ "Thiruvananthapuram Central to be made a world-class station". The Hindu. 7 March 2007. ISSN 0971-751X. Retrieved 8 May 2016. ^ "RailKerala". Trainweb. Retrieved 18 November 2012. ^ "Metro rail: DMRC demands prompt handing over of land, funds". The Hindu. Chennai, India. 24 March 2012. Retrieved 24 March 2012. ^ "DMRC sets early deadline for Kochi Metro rail project". The Times of India. 26 May 2013. Retrieved 27 June 2013. ^ "Aviation school proposal evokes mixed response". The Hindu. 8 June 2009. Retrieved 21 July 2015. ^ Menon, Supriya. "How is the world's first solar powered airport faring? - BBC News". Bbc.com. Retrieved 21 December 2018. 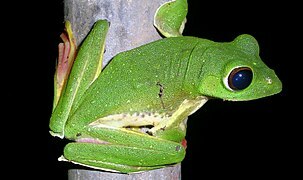 ^ "CIAL chosen for UN environmental honour". The New Indian Express. 26 July 2018. ^ "The three airports in Kerala can be in business without affecting each other". Rediff. 6 December 1999. Retrieved 11 November 2007. ^ Government of India Planning Commission (1 January 2008). Kerala Development Report. Academic Foundation. p. 207. ISBN 978-81-7188-594-7. Retrieved 18 November 2012. ^ Paul, John (20 November 2007). "National Waterway III to be opened today". The Hindu. Retrieved 14 November 2015. ^ "Population of India (1951–2001)" (PDF). Census of India. Indian Ministry of Finance. 2007. Retrieved 28 December 2008. ^ Tharakan, PKM; Navaneetham, K. (June 1999). "Population Projection and Policy Implications for Education: A Discussion with Reference to Kerala" (PDF). Centre for Development Studies. Retrieved 28 December 2008. ^ "Population at a glance" (PDF). Government of India. Retrieved 30 May 2015. ^ a b c d "Size, Growth Rate and Distribution of Population" (PDF). Census 2011. Government of India. Retrieved 13 November 2015. ^ a b "Provisional Population Totals, Census of India 2011" (PDF). Cities with population greater than or equal to one lakh by size class in the state, 2011. Government of India. Retrieved 29 October 2016. ^ R Ramesh; R Purvaja; A Senthil Vel. Shoreline change assessment for Kerala coast (PDF). National Centre for Sustainable Coastal Management, Ministry of Environment and Forests. Retrieved 30 May 2015. ^ Kalathil MJ (2004). Nair PR, Shaji H (eds.). Withering Valli: Alienation, Degradation, and Enslavement of Tribal Women in Attappady (PDF). Kerala Research Programme on Local Level Development. Thiruvananthapuram: Centre for Development Studies. ISBN 978-81-87621-69-0. Retrieved 29 December 2008. ^ Thomas Benedikter (2009). Language Policy and Linguistic Minorities in India: An Appraisal of the Linguistic Rights of Minorities in India. LIT Verlag Münster. p. 90. ISBN 978-3-643-10231-7. Retrieved 18 November 2012. ^ Lankina; Tomila V.; Getachew, Lullit (2013). "Competitive religious entrepreneurs: Christian missionaries and female education in colonial and post-colonial India" (PDF). British Journal of Political Science. 43: 103–131. doi:10.1017/s0007123412000178. ^ a b Ammu Joseph (1999). Oommen M.A. (ed.). Rethinking Development: Kerala's Development Experience. Concept Publishing Company. pp. 479–486. ISBN 978-81-7022-765-6. Retrieved 30 May 2015. ^ Brenda Maddox mentions in: Maddox, Brenda. "A Marxist Paradise For Women?" New Statesman. (London, England: 1996) 128 no4440 30 January 14, 1999. ^ Antherjanam, Lalithambika. Cast Me Out If You Will. New York: The Feminist Press, 1997. ^ Jeffrey, Robin (1987). "Governments and Culture: How Women Made Kerala Literate". Pacific Affairs. 60 (3): 447–472. doi:10.2307/2758883. JSTOR 2758883. ^ a b "India Human Development Report 2011: Towards Social Inclusion" (PDF). Institute of Applied Manpower Research, Planning Commission, Government of India. Retrieved 24 October 2014. ^ a b "Kerala HDR 2005". Human Development Report. Asia and the Pacific: United Nations. Retrieved 30 May 2015. ^ "Human Development Report 2005" (PDF). Human Development Report. Asia and the Pacific: United Nations. Retrieved 14 November 2015. ^ "Human Development Index rose 21 per cent; Kerala tops chart". CNBC. 21 October 2011. Retrieved 14 November 2015. ^ "Growth, reforms lift living standards in India: Human development Index". Economic Times. 22 October 2011. Retrieved 14 November 2015. ^ Sunil Mani; Anjini Kochar (1 January 2006). Kerala's Economy: Crouching Tiger, Sacred Cows. D.C. Books. p. 121. ISBN 978-81-264-1359-1. Retrieved 24 September 2012. ^ a b "Tripura tops literacy rate with 94.65 per cent, leaves behind Kerala". IBNLive. 9 September 2013. Retrieved 12 February 2015. 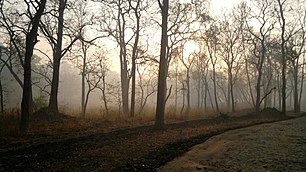 ^ Balaji, J. (22 October 2011). "Kerala tops in literacy rate, health services". The Hindu. Chennai, India. Retrieved 30 May 2015. ^ Centre for Development Studies Thiruvananthapuram (2006). Human Development Report 2005 Kerala. 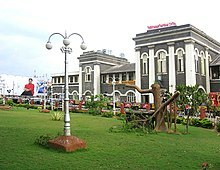 Thiruvananthapuram, Kerala: State Planning Board. ^ "Press Note on Poverty Estimates, 2011-12" (PDF). planningcommission.gov.in. Planning Commission, Government of India. Retrieved 27 November 2018. ^ "EFA (Education for All) Global Monitoring Report" (PDF). UNESCO. 2003: 156. Retrieved 12 November 2007. ^ Kutty VR (2000). "Historical analysis of the development of health care facilities in Kerala State, India" (PDF). Health Policy and Planning. 15 (1): 103–109. doi:10.1093/heapol/15.1.103. PMID 10731241. Retrieved 12 November 2007. ^ a b c Kutty VR (2004). Nair PR, Shaji H (eds.). Why low birth weight (LBW) is still a problem in Kerala: A preliminary exploration (PDF). Kerala Research Programme on Local Level Development. Thiruvananthapuram: Centre for Development Studies. p. 6. ISBN 978-81-87621-60-7. Retrieved 12 November 2007. ^ Alagarajan M (December 2003). "An analysis of fertility differentials by religion in Kerala: A test of the interaction hypothesis". Population Research and Policy Review. 22 (5/6): 557. doi:10.1023/B:POPU.0000020963.63244.8c. ^ "India Corruption Study — 2005". Transparency International. June 2005. Archived from the original on 13 April 2013. Retrieved 11 November 2007. ^ Jean Dreze; Amartya Sen (28 November 2002). India: Development and Participation. Oxford University Press. p. 368. ISBN 978-0-19-925749-2. Retrieved 24 September 2012. ^ "TABLE-3.1 Incidence And Rate Of Violent Crimes During 2011" (PDF). 21 June 2012. Archived from the original (PDF) on 28 September 2013. Retrieved 24 September 2014. ^ "Child marriages remain Kerala's secret shame". The Hindu. 4 September 2015. ISSN 0971-751X. Retrieved 4 September 2015. ^ "Conviction rate up, Kerala tops with over 77% link". The Times of India. New Delhi, India. 9 August 2015. Retrieved 14 November 2015. ^ "Population of homeless in rural India dips". The Times of India. India. 7 December 2013. Retrieved 14 November 2015. ^ "CM told to pursue Zero Homeless Kerala project link". The Hindu. PATHANAMTHITTA, India. 3 November 2013. 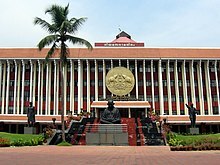 ^ "Kerala-becomes-Indias-first-complete-digital-state link". The Times of India. New Delhi, India. 15 August 2015. ^ Maya, C (12 December 2013). "The road to universal health care in State". The Hindu. Retrieved 14 November 2015. ^ a b Krishnaswami P (2004). Neelakantan S, Nair PR, Shaji H (eds.). Morbidity Study: Incidence, Prevalence, Consequences, and Associates (PDF). Kerala Research Programme on Local Level Development. Thiruvananthapuram: Centre for Development Studies. ISBN 978-81-87621-66-9. Retrieved 31 December 2008. ^ "Kerala as good as US, OECD in saving newborn children - Times of India". The Times of India. Retrieved 9 March 2017. ^ Roy MKP (2004). "Water quality and health status in Kollam Municipality" (PDF). Centre for Development Studies. Retrieved 28 December 2008. ^ "Why Kerala is the best place to die in India – The Economic Times". The Economic Times. 17 October 2015. Retrieved 22 October 2015. ^ "Kerala Named World's First WHO-UNICEF "Baby-Friendly State"". United Nations Foundation. August 2002. Archived from the original on 6 March 2010. Retrieved 14 March 2009. ^ "Indian state wins 'baby-friendly' award". BBC News. Kochi, India. 1 August 2002. ^ National Family Health 2005–06 Survey (NFHS-3) Kerala (PDF). Deonar, Mumbai: International Institute for Population Sciences. 2008. Retrieved 30 May 2015. ^ a b c Unnikrishnan, E (2004). "Materia Medica of the Local Health Traditions of Payyannur" (PDF). Centre for Development Studies. Retrieved 22 January 2006. ^ "Kerala becomes first state to provide free cancer treatment – Free Press Journal". www.freepressjournal.in. 11 October 2014. Retrieved 18 May 2016. ^ Krishnakumar, P. K.; Sanandakumar, S. (23 April 2016). "Health crisis in Kerala: The increase in cancer, kidney and liver diseases – The Economic Times". The Economic Times. Retrieved 18 May 2016. ^ Heller P (4 May 2003). "Social capital as a product of class mobilization and state intervention: Industrial workers in Kerala, India". University of California: 49–50. Retrieved 25 February 2007. ^ "Population by religious communities". Census of India. Government of India. Retrieved 26 August 2015. ^ "Increase in Muslim population in the State". The Hindu. Chennai, India. 23 September 2004. Retrieved 13 November 2015. ^ "Kerala, not Goa, has maximum no. of Christians". The Times of India. The Times Group. ^ Ramachandran, V. (2017). Annual Vital Statistics Report – 2015 (PDF) (Report). Vital Statistics Division, Department of Economics & Statistics, Government of Kerala. Archived from the original (PDF) on 16 December 2017. Retrieved 7 April 2019. ^ Sethi, Atul (24 June 2007). "Trade, not invasion brought Islam to India". Times of India. Retrieved 24 September 2014. ^ Chitra Divakaruni (16 February 2011). The Palace of Illusions. Pan Macmillan. ISBN 978-0-330-47865-6. Retrieved 18 November 2012. ^ Miller, E. Roland. "Mappila Muslim Culture" State University of New York Press, Albany (2015); p. xi. ^ Miller, Roland. E., "Mappila" in "The Encyclopedia of Islam". Volume VI. E. J. Brill, Leiden. 1987 pp. 458-56. ^ Prof. U. Mohammed (2007). Educational Empowerment of Kerala Muslims: A Socio-historical Perspective. Other Books. pp. 146–. ISBN 978-81-903887-3-3. Retrieved 18 November 2012. ^ The Jews of India: A Story of Three Communities Archived 26 December 2016 at the Wayback Machine by Orpa Slapak. The Israel Museum, Jerusalem. 2003. p. 27. ISBN 965-278-179-7. ^ "Saint Thomas". Encyclopædia Britannica. ^ Selvister Ponnumuthan (1996). Authentic Interpretation in Canon Law: Reflections on a Distinctively Canonical Institution. Gregorian&Biblical BookShop. pp. 103–. ISBN 978-88-7652-721-0. Retrieved 18 November 2012. ^ Raymond Brady Williams (13 November 1996). Christian Pluralism in the United States: The Indian Immigrant Experience. Cambridge University Press. pp. 144–. ISBN 978-0-521-57016-9. Retrieved 18 November 2012. ^ Allan Anderson; Edmond Tang (2005). Asian and Pentecostal: The Charismatic Face of Christianity in Asia. OCMS. pp. 248–. ISBN 978-1-870345-43-9. Retrieved 18 November 2012. ^ Thomas Arthur Russell (June 2010). Comparative Christianity: A Student's Guide to a Religion and Its Diverse Traditions. Universal-Publishers. pp. 40–. ISBN 978-1-59942-877-2. Retrieved 18 November 2012. ^ John Anthony McGuckin (15 December 2010). The Encyclopedia of Eastern Orthodox Christianity. John Wiley & Sons. pp. 377–. ISBN 978-1-4443-9254-8. Retrieved 18 November 2012. ^ Stephen Neill (2 May 2002). A History of Christianity in India: 1707–1858. Cambridge University Press. pp. 247–249. ISBN 978-0-521-89332-9. Retrieved 31 August 2012. ^ A Sreedhara Menon (1 January 2007). A Survey Of Kerala History. DC Books. pp. 192–. ISBN 978-81-264-1578-6. Retrieved 18 November 2012. ^ Knut A. Jacobsen, Selva J. Rak; Selva J. Raj (2008). South Asian Christian Diaspora: Invisible Diaspora in Europe and North America. Ashgate Publishing, Ltd. pp. 172–. ISBN 978-0-7546-6261-7. Retrieved 18 November 2012. ^ Ajantha Subramanian (21 April 2009). Shorelines: Space and Rights in South India. Stanford University Press. pp. 95–. ISBN 978-0-8047-8685-0. Retrieved 18 November 2012. ^ Singh, Anjana. "Fort Cochin in Kerala 1750-1830 The Social Condition of a Dutch Community in an Indian Milieu." Brill, Leiden Boston: 2010, 3: 92. ^ Weil, Shalva. "Jews in India." in M.Avrum Erlich (ed.) Encyclopaedia of the Jewish Diaspora, Santa Barbara, USA: ABC CLIO. 2008, 3: 1204–1212. ^ Joan G. Roland (1998). The Jewish Communities of India: Identity in a Colonial Era. Transaction Publishers. pp. 283–. ISBN 978-0-7658-0439-6. Retrieved 18 November 2012. ^ Stewart Lockie; David Carpenter (4 May 2012). Agriculture, Biodiversity and Markets: Livelihoods and Agroecology in Comparative Perspective. Routledge. p. 258. ISBN 978-1-136-54649-5. Retrieved 18 November 2012. ^ George Mathew; B S Baviskar (6 January 2009). Inclusion and Exclusion in Local Governance: Field Studies from Rural India. SAGE Publications. p. 204. ISBN 978-81-7829-860-3. Retrieved 18 November 2012. ^ Malayalam Literary Survey. Kerala Sahitya Akademi. 1984. p. 121. ^ Manakkadan Manicoth Anand Ram (1999). Influx: Crete to Kerala. Keerthi Publishing House. p. 5. ^ R. Raman Nair; L. Sulochana Devi (2010). Chattampi Swami: An Intellectual Biography. South Indian Studies. pp. 33–. ISBN 978-81-905928-2-6. Retrieved 18 November 2012. ^ Monika Böck, Aparna Rao; Aparna Rao (2000). Culture, Creation, and Procreation: Concepts of Kinship in South Asian Practice. Berghahn Books. pp. 180–. ISBN 978-1-57181-911-6. Retrieved 18 November 2012. ^ M. Mohan Mathews (2001). India, Facts & Figures. Sterling Publishers Pvt. Ltd. pp. 133–. ISBN 978-81-207-2285-9. Retrieved 18 November 2012. ^ A Sreedhara Menon (1 January 2007). A Survey Of Kerala History. DC Books. pp. 219–. ISBN 978-81-264-1578-6. Retrieved 18 November 2012. ^ Government of Kerala (2002b). "Marumakkathayam". Department of Public Relations (Government of Kerala). Archived from the original on 21 May 2006. Retrieved 29 January 2006. ^ Lindberg A (July 2004). "Modernization and Effeminization in India: Kerala Cashew Workers since 1930". 18th European Conference on Modern South Asian Studies (EASAS). CiteSeerX 10.1.1.456.2192. ^ Roy, Ranjan (1990). "Discovery of the Series Formula for π by Leibniz, Gregory, and Nilakantha". Mathematics Magazine. 63 (5): 291–306. doi:10.2307/2690896. JSTOR 2690896. ^ Pingree, David (1992), "Hellenophilia versus the History of Science", Isis, 83 (4): 554–563, Bibcode:1992Isis...83..554P, doi:10.1086/356288, JSTOR 234257, One example I can give you relates to the Indian Mādhava's demonstration, in about 1400 A.D., of the infinite power series of trigonometrical functions using geometrical and algebraic arguments. When this was first described in English by Charles Whish, in the 1830s, it was heralded as the Indians' discovery of the calculus. 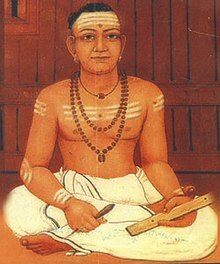 This claim and Mādhava's achievements were ignored by Western historians, presumably at first because they could not admit that an Indian discovered the calculus, but later because no one read any more the Transactions of the Royal Asiatic Society, in which Whish's article was published. The matter resurfaced in the 1950s, and now we have the Sanskrit texts properly edited, and we understand the clever way that Mādhava derived the series without the calculus; but many historians still find it impossible to conceive of the problem and its solution in terms of anything other than the calculus and proclaim that the calculus is what Mādhava found. In this case the elegance and brilliance of Mādhava's mathematics are being distorted as they are buried under the current mathematical solution to a problem to which he discovered an alternate and powerful solution. ^ a b Planning Commission, India (2007). Kerala Development Report. Academic Foundation. pp. 53–58. ISBN 978-81-7188-594-7. Retrieved 30 May 2015. ^ Mookkiah Soundarapandian (1 January 2000). Literacy Campaign in India. Discovery Publishing House. p. 21. ISBN 978-81-7141-553-3. ^ a b Planning Commission, India (2007). Kerala Development Report. Academic Foundation. pp. 255–258. ISBN 978-81-7188-594-7. Retrieved 30 May 2015. ^ D Suresh Kumar (13 October 2008). "Kerala tops primary education index". The Times of India. Retrieved 30 July 2009. ^ "Kerala becomes 1st Indian state to achieve 100% primary education". International Business Times. 12 January 2016. Retrieved 14 January 2016. ^ a b "Education in Kerala". Government of India. Archived from the original on 18 December 2011. Retrieved 30 May 2015. ^ A. Sreedhara Menon (1978). Cultural Heritage of Kerala: An Introduction. East-West Publications. p. 10. 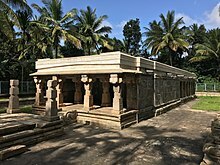 ^ Contribution of Travancore to Karnatic Music. Information & Public Relations Department, Government of Kerala. 2004. pp. 7–37. ^ a b S. Bhagyalekshmy (2004). Contribution of Travancore to Karnatic Music. Information & Public Relations Department, Government of Kerala. Retrieved 6 January 2013. 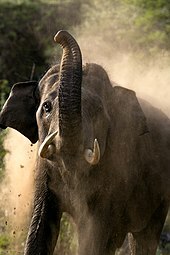 ^ a b "India's overworked elephants". BBC. 4 March 2010. Retrieved 30 May 2015. ^ J. Devika (2005). Her-self: Early Writings on Gender by Malayalee Women, 1898–1938. Popular Prakashan. p. 5. ISBN 978-81-85604-74-9. Retrieved 17 November 2012. ^ Kumar Suresh Singh (2004). People of India: Maharashtra. Popular Prakashan. p. 1524. ISBN 978-81-7991-102-0. Retrieved 17 November 2012. ^ Cultural Heritage of Kerala. D.C. Books. 2008. p. 76. ISBN 978-81-264-1903-6. ^ The Legacy of Kerala. Department of Public Relations, Government of Kerala. 1982. p. 34. ISBN 978-81-264-3798-6. ^ World Encyclopaedia of Interfaith Studies: World religions. Jnanada Prakashan. 2009. pp. 704–710. ISBN 978-81-7139-280-3. 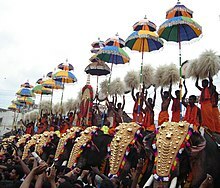 ^ "The stars of Pooram show are jumbos". The Hindu. Chennai, India. 26 May 2006. Retrieved 11 November 2007. ^ Infokerala Communications Pvt. Ltd. (1 September 2013). Pilgrimage to Temple Heritage. Biju Mathew. p. 433. ISBN 978-81-921284-4-3. ^ David Stott (10 April 2014). Kerala Footprint Focus Guide: Includes Kochi, Alappuzha, Thrissur, Periyar, River Nila. Footprint Travel Guides. p. 94. ISBN 978-1-909268-79-1. ^ M. G. S. Narayanan; K. K. N. Kurup (1976). Historical Studies in Kerala. Department of History, University of Calicut. pp. 68–81. ^ Rolf Killius (2006). Ritual Music and Hindu Rituals of Kerala. B.R. Rhythms. p. 61. ISBN 978-81-88827-07-7. ^ Chummar Choondal (1980). Kerala Folk Literature. Kerala Folklore Academy. ^ A Sreedhara Menon (1 January 2007). A Survey Of Kerala History. DC Books. pp. 80–. ISBN 978-81-264-1578-6. ^ Pratiyogita Darpan (October 2006). Pratiyogita Darpan. Pratiyogita Darpan. p. 624. 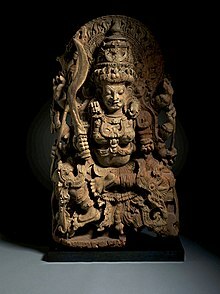 ^ Purāṇam. All-India Kasiraja Trust. 2004. p. 17. ^ Cultural Heritage of Kerala. D.C. Books. 2008. p. 66. ISBN 978-81-264-1903-6. ^ Praveen, M. P. (8 September 2011). "Myth, mystique, and traditions of Onam". The Hindu. Retrieved 12 November 2015. ^ IBP USA (3 March 2012). India Country Study Guide Volume 1 Strategic Information and Developments. Lulu.com. p. 110. ISBN 978-1-4387-7460-2. ^ Infokerala Communications Pvt. Ltd. (1 September 2013). Pilgrimage to Temple Heritage. Biju Mathew. p. 535. ISBN 978-81-921284-4-3. ^ A Biblical Approach to Indian Traditions and Beliefs. Armour Publishing Pte Ltd. 2008. p. 90. ISBN 978-981-4222-39-6. ^ J Mohapatra (December 2013). Wellness In Indian Festivals & Rituals. Partridge Pub. p. 142. ISBN 978-1-4828-1690-7. ^ Gouri Lakshmi Bayi (Princess.) (1998). Thulasi garland. Bharatiya Vidya Bhavan. ^ Kala Menon (November 2004). "Classical Dance Art Forms of Kerala" (PDF). Sruti Ranjini. 14 (1): 11. ^ A Sreedhara Menon (2008). Cultural heritage of Kerala. D C Books. p. 106. ISBN 978-81-264-1903-6. Retrieved 17 November 2012. ^ Kāvālaṃ Nārāyaṇappaṇikkar (1991). 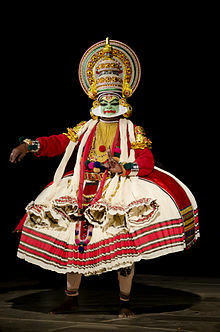 Folklore of Kerala. National Book Trust, India. p. 146. Retrieved 17 November 2012. ^ Asha Kasbekar (2006). Pop Culture India! : Media, Arts, And Lifestyle. ABC-CLIO. pp. 43–44. ISBN 978-1-85109-636-7. Retrieved 17 November 2012. ^ Motilal (UK) Books of India (1 February 2008). Tourist Guide Kerala. Sura Books. p. 8. ISBN 978-81-7478-164-2. Retrieved 17 November 2012. ^ a b c A. Sreedhara Menon (1982). The Legacy of Kerala. D C Books. pp. 48–51. ISBN 978-81-264-2157-2. Retrieved 30 May 2015. ^ Richard Schechner; Willa Appel (25 May 1990). By Means of Performance: Intercultural Studies of Theatre and Ritual. Cambridge University Press. p. 145. ISBN 978-0-521-33915-5. Retrieved 18 November 2012. ^ a b Simon Broughton; Mark Ellingham; Richard Trillo (2000). World Music Volumn 2 Latin and North America, Caribbean, India, Asia and Pacific: The Rough Guide. Rough Guides. p. 97. ISBN 978-1-85828-636-5. Retrieved 18 November 2012. ^ A. Sreedhara Menon (1982). The Legacy of Kerala. D C Books. p. 41. ISBN 978-81-264-2157-2. Retrieved 30 May 2015. ^ Menon, Sreedhara (2008). Cultural Heritage of Kerala. D C Books. pp. 128–129. ISBN 978-81-264-1903-6. Retrieved 30 May 2015. ^ Datta, Amaresh (1987). Encyclopaedia of Indian Literature. Sahitya Akademi. pp. 751–753. ISBN 978-81-260-1803-1. ^ Gangadhar, V. (2 October 2003). "Magic of Sophia Loren". Sunday Magazine. The Hindu. Chennai, India. Retrieved 18 January 2015. ^ Subburaj V.V.K. Sura's Year Book 2006. Sura Books. p. 620. ISBN 978-81-7254-124-8. Retrieved 30 May 2015. ^ "K.J.Yesudas – GREATEST SINGERS OF INDIA". indiansingers.net. Retrieved 24 September 2014. ^ "Jnanpith Awards for ONV Kurup, Akhlaq Khan Shahryar". The Times of India. 24 September 2014. Retrieved 24 September 2014. ^ "Jnanpith Award Winners | UPSC Guide". upscguide.com. Archived from the original on 19 December 2012. Retrieved 24 September 2014. ^ P. K. Parameswaran Nair (1967). History of Malayalam literature. Sahitya Akademi. p. 296. Retrieved 18 November 2012. ^ Sigfried J. de Laet (1994). History of Humanity: From the seventh to the sixteenth century. UNESCO. p. 407. ISBN 978-92-3-102813-7. Retrieved 18 November 2012. ^ K. M. George (1 January 1998). Eng when Poetry Comes. Sahitya Akademi. p. 58. ISBN 978-81-260-0413-3. Retrieved 18 November 2012. ^ P. K. Parameswaran Nair (1967). History of Malayalam literature. Sahitya Akademi. pp. 118–121. Retrieved 18 November 2012. ^ Madhubālā Sinhā (2009). Encyclopaedia of South Indian literature. Anmol Publ. p. 97. ISBN 978-81-261-3740-4. Retrieved 18 November 2012. ^ John V. Vilanilam (1987). Religious communication in India. Kairali Books International. p. 66. Retrieved 18 November 2012. ^ Sukumār Al̲ikkōṭȧ (1979). Mahakavi Ulloor. Sahitya Akademi. p. 52. Retrieved 18 November 2012. ^ Indian and Foreign Review. Publications Division of the Ministry of Information and Broadcasting, Government of India. 1983. p. 25. Retrieved 18 November 2012. ^ Ke. Eṃ Tarakan (1990). A brief survey of Malayalam literature: history of literature. K.M. Tharakan. pp. 41–52. Retrieved 18 November 2012. ^ Subodh Kapoor (2002). The Indian Encyclopaedia: Biographical, Historical, Religious, Administrative, Ethnological, Commercial and Scientific. Mahi-Mewat. Cosmo. p. 4542. ISBN 978-81-7755-272-0. Retrieved 18 November 2012. ^ Accessions List, South Asia. E.G. Smith for the U.S. Library of Congress Office, New Delhi. July 1994. p. 21. Retrieved 18 November 2012. ^ Indian Writing Today. Nirmala Sadanand Publishers. 1967. p. 21. Retrieved 18 November 2012. ^ Amaresh Datta; Sahitya Akademi (1987). Encyclopaedia of Indian Literature: K to Navalram. Sahitya Akademi. p. 2394. Retrieved 18 November 2012. ^ Malayalam Literary Survey. Kerala Sahitya Akademi. 1993. p. 19. Retrieved 18 November 2012. ^ Eṃ Mukundan; C. Gopinathan Pillai (1 January 2004). Eng Adityan Radha And Others. Sahitya Akademi. p. 3. ISBN 978-81-260-1883-3. Retrieved 18 November 2012. ^ Ed. Vinod Kumar Maheshwari (1 January 2002). Perspectives On Indian English Literature. Atlantic Publishers & Dist. p. 126. ISBN 978-81-269-0093-0. Retrieved 18 November 2012. ^ Amit Chaudhuri (2008). Clearing a Space: Reflections On India, Literature, and Culture. Peter Lang. pp. 44–45. ISBN 978-1-906165-01-7. Retrieved 18 November 2012. ^ Murdoch Books Pty Limited; Murdoch Books Test Kitchen (1 July 2010). India. Murdoch Books. p. 10. ISBN 978-1-74196-438-7. Retrieved 17 November 2012. ^ Majumdar (2010). Consumer Behaviour: Insights From Indian Market. PHI Learning Pvt. Ltd. p. 181. ISBN 978-81-203-3963-7. Retrieved 17 November 2012. ^ Rachel Muthachen (1 January 1970). Regional Indian Recipes. Jaico Publishing House. p. 1. ISBN 978-81-7224-035-6. Retrieved 17 November 2012. ^ James Newton. Jay Rai's Kitchen – Keralan Cuisine. Springwood emedia. pp. 4–. ISBN 978-1-4761-2308-0. Retrieved 17 November 2012. ^ Vijayan Kannampilly (30 May 2003). Essential Kerala Cook Book. Penguin Books India. pp. 10–11. ISBN 978-0-14-302950-2. Retrieved 17 November 2012. 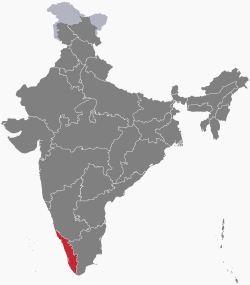 ^ Kerala with Lakshadweep. Outlook Publishing. 1 January 2005. p. 27. Retrieved 17 November 2012. ^ George Koilparampil (1982). Caste in the Catholic community in Kerala: a study of caste elements in the inter rite relationships of Syrians and Latins. Dept. of Sociology, St. Teresa's College. p. 233. Retrieved 17 November 2012. ^ Paramatmananda (Swami.) (2000). Talks. Mata Amritanandamayi Center. p. 24. ISBN 978-1-879410-79-4. Retrieved 17 November 2012. 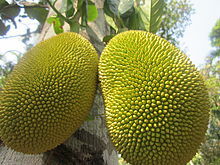 ^ "Kerala Cuisine". Ecotours. Retrieved 30 May 2015. ^ Theresa Varghese (2006). Stark World Kerala. Stark World Pub. p. 224. ISBN 978-81-902505-1-1. Retrieved 17 November 2012. ^ K. Satchidanandan (2001). Indian Poetry: Modernism and After. Sahitya Akademi. pp. 14–. ISBN 978-81-260-1092-9. Retrieved 17 November 2012. ^ The Telecom Regulatory Authority of India Act, 1997. Georg Thieme Verlag. p. 112. GGKEY:BJ6HEPE0NRE. ^ "General Review". Registrar of Newspapers for India. Archived from the original on 18 January 2010. Retrieved 1 September 2006. ^ K. M. George (1 January 1998). Eng when Poetry Comes. Sahitya Akademi. p. 186. ISBN 978-81-260-0413-3. Retrieved 17 November 2012. ^ Sangeeta Tanwar (10 May 2010). "IRS 2010 Q1: Dailies in Kerala lose readers after gaining in the last round". Indian Readership Survey. New Delhi, India: afaqs.com. Retrieved 29 May 2013. ^ Ranjith KS (2004). Nair PR, Shaji H (eds.). Rural Libraries of Kerala (PDF). Kerala Research Programme on Local Level Development. Thiruvananthapuram: Centre for Development Studies. pp. 20–21. ISBN 978-81-87621-81-2. Retrieved 28 December 2008. ^ a b "Press Release, TRAI" (PDF). TRAI. 2012. Archived from the original (PDF) on 4 March 2016. Retrieved 30 May 2015. ^ "Tele-density in Kerala". The Hindu. 2011. Retrieved 15 November 2015. ^ a b c d "Sports and Games in Kerala". Public Relations Dept, Kerala. 2002. Archived from the original on 28 April 2006. Retrieved 9 June 2012. ^ "India Wins World Twenty20 Thriller". The Hindu. Chennai, India. 25 September 2007. Retrieved 11 November 2007. ^ "Ranji Trophy: In historic first, Kerala join defending champions Gujarat in quarter-finals". The Times of India. 28 November 2017. Retrieved 19 December 2017. ^ "AIFF Award Player of the Year". All India Football Federation. Archived from the original on 17 February 2009. Retrieved 15 November 2015. ^ James Wray; Ulf Stabe (15 September 2007). "Viva marks the resurgence of Kerala football". Monstersandcritics.com. Retrieved 30 July 2009. ^ "Past Winners". All India Football Federation. Archived from the original on 24 May 2012. Retrieved 9 June 2012. ^ "Kerala State Athletics Association: History". Kerala State Athletics Association. Retrieved 12 June 2012. ^ David Abram; Nick Edwards (2004). The Rough Guide to South India. Rough Guides. p. 64. ISBN 978-1-84353-103-6. ^ "Jimmy George". Sports Portal. Ministry of Youth Affairs and Sports. Archived from the original on 14 May 2008. Retrieved 11 November 2007. ^ P.A. Reddy (1 January 2005). Sports Promotion In India. Discovery Publishing House. pp. 31–42. ISBN 978-81-7141-927-2. Retrieved 17 November 2012. ^ "FIFA Event at Kochi: Time is Ticking Away". The New Indian Express. Retrieved 3 April 2016. ^ a b "Kerala Tourism: Paradises in the world". The Hindu. Retrieved 20 February 2012. 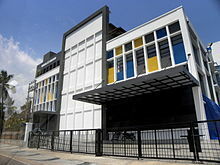 ^ "Pravasi KairaLi Home". Pravasikairali.com. Archived from the original on 8 November 2014. Retrieved 11 January 2014. ^ "Kerala – The Gateway of India". Forbes. Retrieved 3 January 2012. 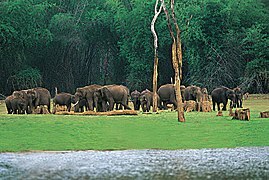 ^ "Kerala : National Geographic Traveler selects Kerala as 'one of the 50 must-see destinations of a lifetime'". Travel Portal of India. 27 January 2009. Archived from the original on 4 September 2011. Retrieved 11 June 2011. ^ "Kerala beats Taj in Google Search Trends for 2012". Indian Express. 28 December 2012. Retrieved 11 January 2012. ^ Infokerala Communications Pvt. Ltd. (2012). 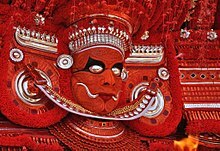 Kerala Tradition & Fascinating Destinations. Biju Mathew | Info Kerala Communications Pvt Ltd. p. 314. ISBN 978-81-921284-8-1. ^ Saju (6 August 2011). "DESTINATION WISE NUMBER OF FOREIGN TOURISTS VISITED KERALA DURING 2010" (PDF). Retrieved 24 September 2014. ^ "Tourist statistics – 2008" (PDF). Government of Kerala, Tourism Department. Retrieved 22 October 2010. ^ a b Santhanam K (27 January 2002). "An ideal getaway". The Hindu Magazine. Chennai, India. Retrieved 11 November 2007. ^ "Tourism beckons". The Hindu. Chennai, India. 11 May 2004. Retrieved 9 August 2006. ^ a b c Dasgupta Devashish (2011). Tourism Marketing. Pearson Education India. p. 203. ISBN 978-81-317-3182-6. Retrieved 30 May 2015. ^ "Tourist Statistics — 2006" (PDF). Department of Tourism. Government of Kerala. 2006. Archived from the original (PDF) on 26 June 2008. Retrieved 11 November 2007. ^ a b Joseph, George (16 May 2012). "Tourist inflow to Kerala crosses 10 million mark". Business-Standard. Retrieved 15 November 2015. ^ Planning Commission, India (2007). Kerala Development Report. Academic Foundation. p. 47. ISBN 978-81-7188-594-7. Retrieved 30 May 2015. ^ "Tourist Statistics — 2005 (Provisional)" (PDF). Department of Tourism. Government of Kerala. 2005. Archived from the original (PDF) on 26 June 2008. Retrieved 11 November 2007. ^ Gibson, David K. "The best beaches for driving". BBC Autos. 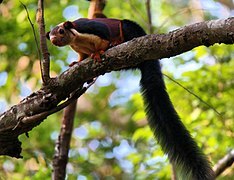 ^ Tapan K Panda (2007). Tourism Marketing. ICFAI Books. pp. 173–177. ISBN 978-81-314-0469-0. Retrieved 30 May 2015. 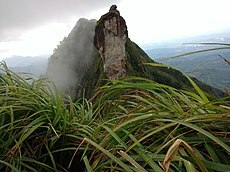 ^ "Kerala: Spellbound by this natural beauty". The Free Press Journal. 2 August 2015. Retrieved 27 November 2015. ^ M.R. Biju (2006). Sustainable Dimensions Of Tourism Management. Mittal Publications. pp. 151–165. ISBN 978-81-8324-129-8. Retrieved 30 May 2015. 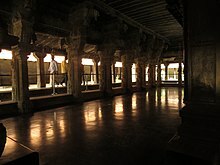 ^ "Padmanabhapuram Palace". Kerala Tourism. Retrieved 2 December 2016. 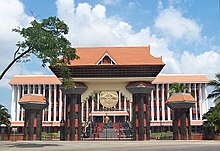 ^ "Mattancherry Palace". Kerala Tourism. Retrieved 2 December 2016.